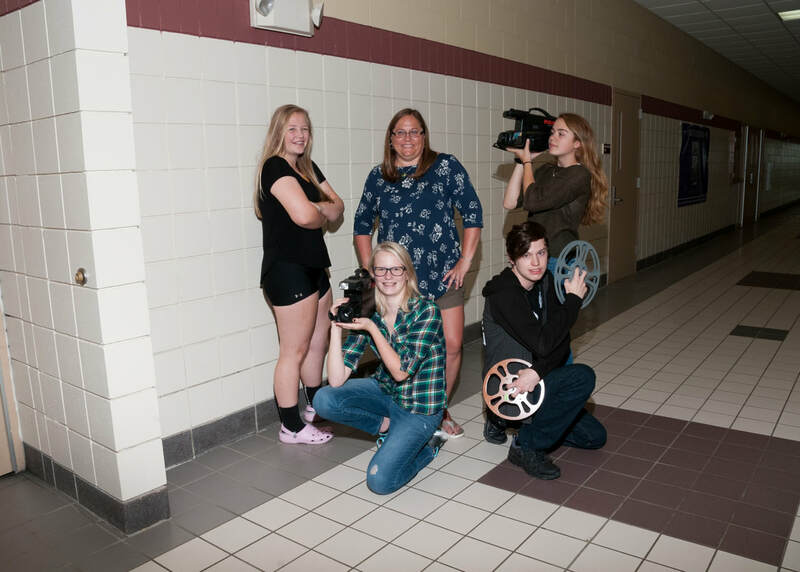 The Ashby High School Video Club is an extra-curricular opportunity for interested students in grades 7-12 to learn videotaping, video production, editing, and salesmanship. Through DVD sales the club has purchased video cameras, tripods, DVD’s, cases, envelopes, and labels. We are in our 18th year of existence at AHS and we have grown in our technological capabilities each year. Our goal is to produce quality DVD’s of school events such as home sporting events, Prom, Music Concerts, School Plays and Programs, Kindergarten and High School Graduation, Homecoming and Snoweek Coronation and any other event by special request. By purchasing a DVD, the entire school and community gains access to these Video Club created videos which fosters a sense of school pride, unity, and community throughout Ashby Public School. The Video Club sells their DVD’s for just $5.00 each. All funds raised then go into purchasing additional video equipment and supplies. Our present goal is to purchase a multiple DVD duplicator burner system. Video production encourages appropriate integration of technology and software applications and technical equipment. It provides a real and authentic audience for creative production in the school community and supports and encourages career connections in a variety of fields, including journalism, multimedia, photography, technology, and public service. Students are continually required to work together to perform tasks, to inform, to persuade, and to interpret, analyze, and evaluate data.